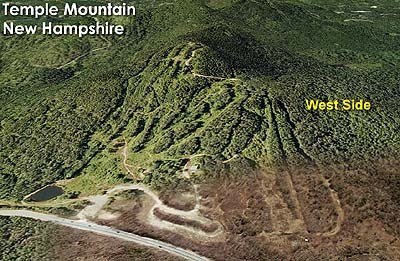 After operating for nearly three decades as a part time ski area, Temple Mountain was carried to the next level in the 1960s as new land was acquired and daily operations commenced. 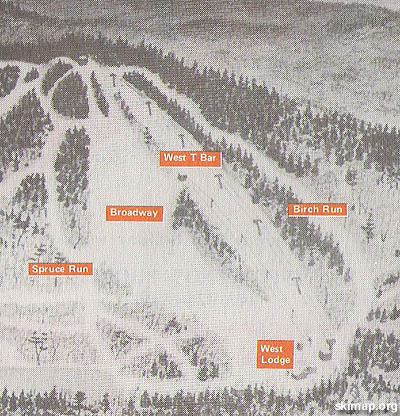 In 1965, the ski area expanded westward proper (after previous rope tow installs) with the installation of the West T-Bar. 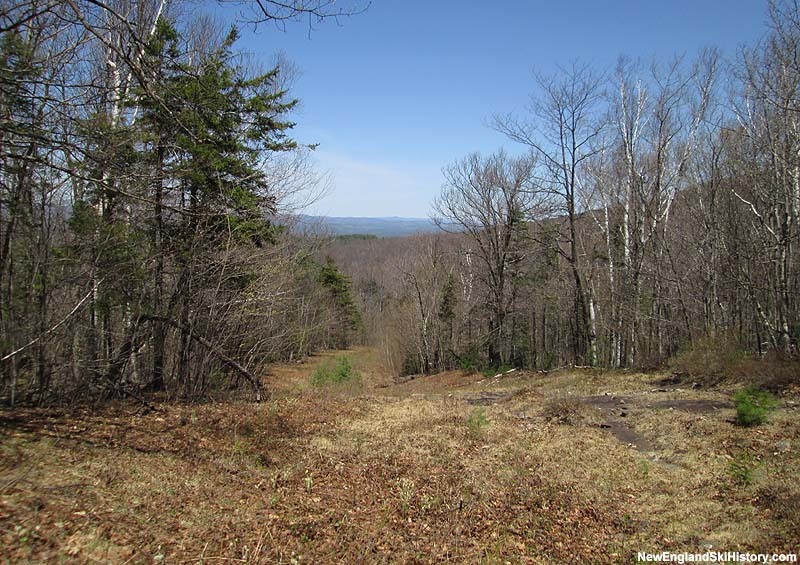 With the new 1,426 foot long by 248 foot vertical Doppelmayr, the new area featured generally novice and intermediate terrain. 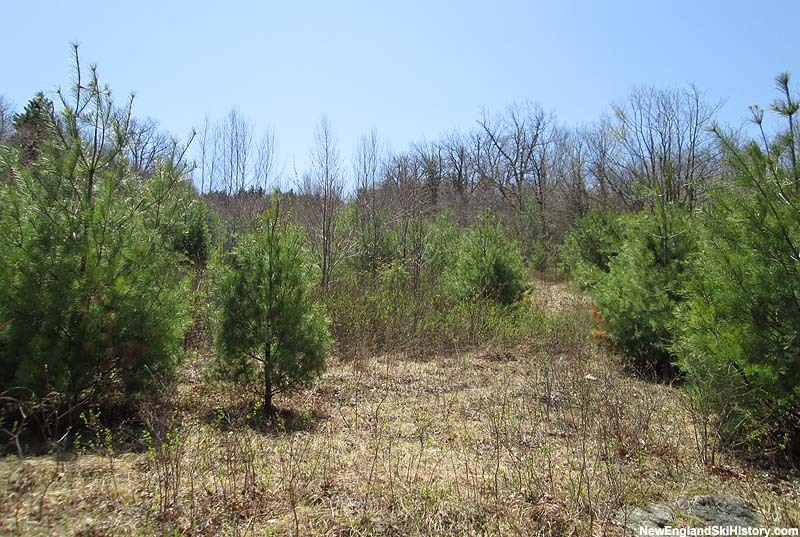 In addition, a lodge would be constructed. While the T-Bar remained in operation for a few decades, it was not in operation by the time the ski area entered its final season of operation, 2000-2001. 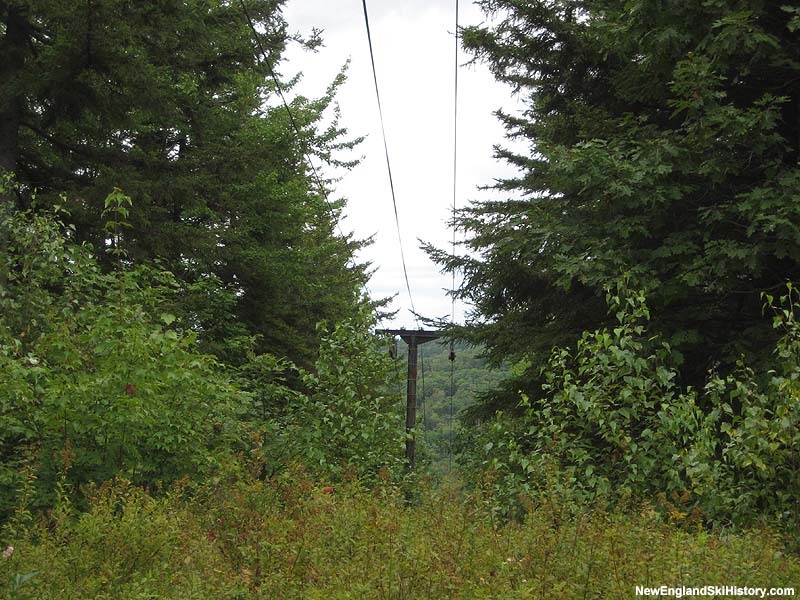 Though the chairlifts would be removed and sold, the T-Bar remained in place after the liquidation of the ski area.